WirtschaftsWoche reaches around 810.000 readers but–like any other the publishing house–they are facing the challenge of the disruption of the industry. One of the major pillars of their strategy is a thorough repositioning as a new modern stage for economic journalism with a focus on deeper narratives. Our collaboration started with the relaunch of their online platform. In the second phase we have applied our approach to their print magazine. WirtschaftsWoche has a loyal readership and for many of them the magazine is an essential part of their professional routine as it provides professional competence and orientation in complex economic topics. With the goal to strengthen their position within the competition, we developed an approach to sharpen this profile through a clearer content strategy. In collaboration with their editorial team we reviewed the structure of the magazine and reduced the main chapters of the magazine to only three. A strategic decision that gives the team more narrative freedom and opportunities to use more flexible formats and re-use content. 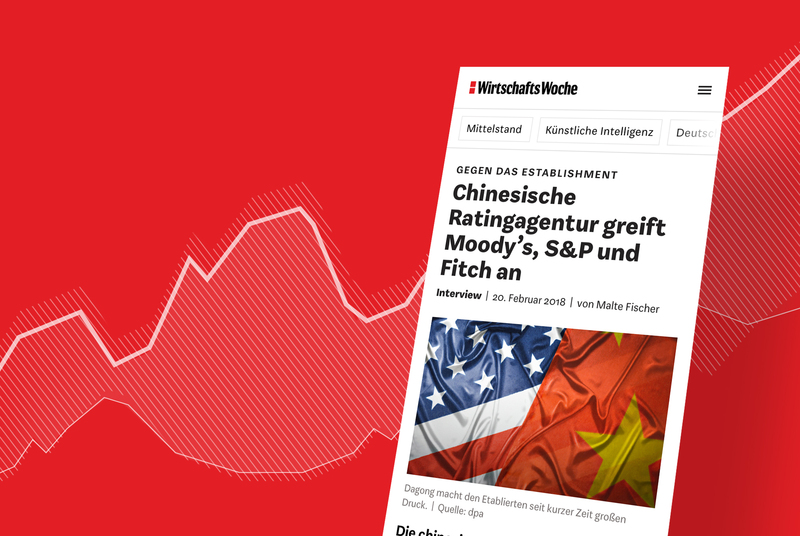 The repositioning already came to life in the redesign of their online platform wiwo-online.de and needed to be expanded to their weekly print magazine in a second step, to ensure a coherent reading experience across all formats. Based on the modular design system we created during the relaunch, the new visual language could be easily transferred to print. For the print issue we created a new typographic language, that corresponds with the substance of the content and at the same time allows for variety and tension within the layout. In addition we reworked the type setting and created a new layout system that enables the team to create a sense of intrigue across the magazine. This way stories can be told loud or quite, fast or slow, opulently or small-scale. The face of the magazine, the cover, also appears in a new light. We have rethought this visually and structurally in accordance with the design direction. Our focus was on the clear recognition of WirtschaftsWoche as a brand and using the brand identity to help standardize the design elements on the title page. The result of our work is a business magazine that looks confidently into the future and consciously separates itself from the contaminated sites of the past to create space for something new - on a narrative and visual level. The readers can expect an essentially opulent magazine, which holds the tension from beginning to end and also knows how to surprise.